Do Gun Belts Wear Out? 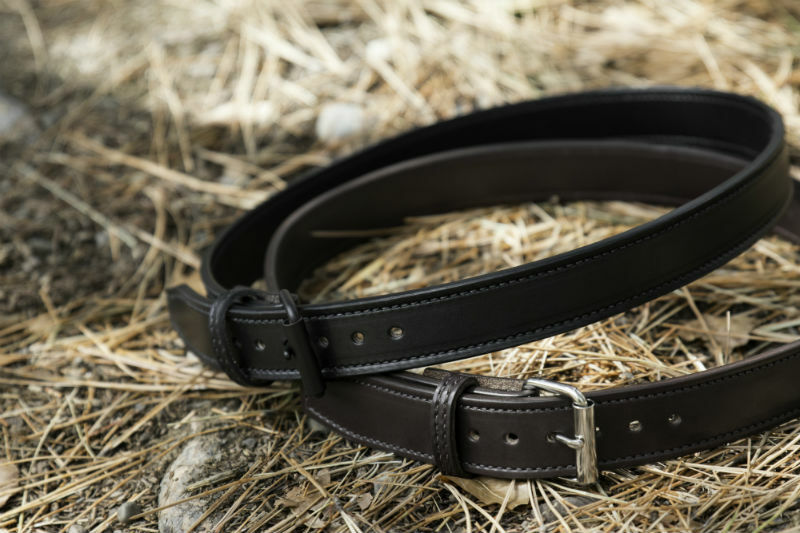 Gun belts are built strong enough to carry a gun for extended periods of time, but like any other working item, they can have an expiration date. In other words, they can wear out like anything else and need replacing. However, the length of time that will have to pass before that happens follows an economy of scale. The service life of a gun belt depends on how well it is made and what it's made from. 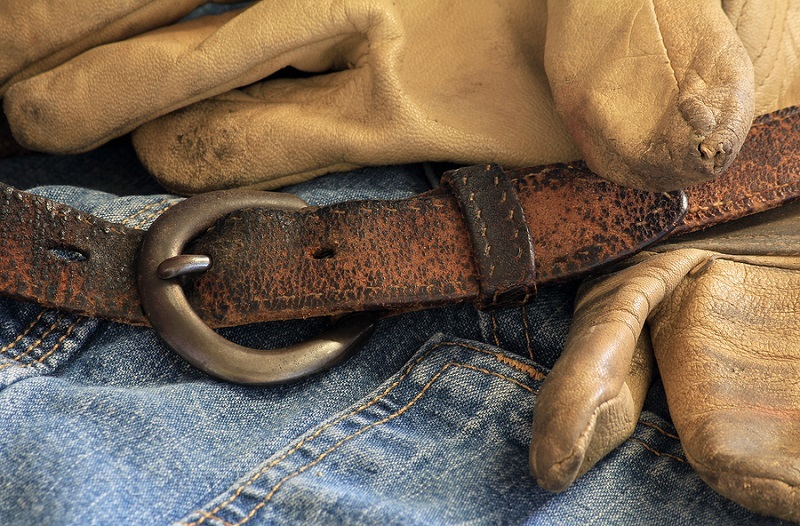 Anyone that has ever had a quality leather product, such as good quality leather gun belts, jackets, boots or otherwise, can attest to the difference before and after break-in. Break-in for leather is when the hide stretches at certain stress points, becoming a bit more flexible and supple. In many instances, especially for fashion items, break-in is highly desirable. 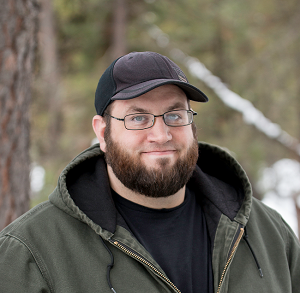 Working boots, like either work boots or hunting boots, often have to be broken in before they can be truly wearable. Wearing them prior to break-in has pinched many a foot and produced many blisters, as boot break-in extends to the insole as well as the leather. Leather goods will continue to soften with age and develop of a patina, considered highly desirable. However, for a leather gun belt, this process also leads to the belt wearing out. As the leather softens along the stress points, it loses rigidity and becomes softer. Again, very desirable in a leather jacket; this makes it more comfortable. However, a gun belt will become less able to maintain the firmest hold while being worn along with a holster and pistol. 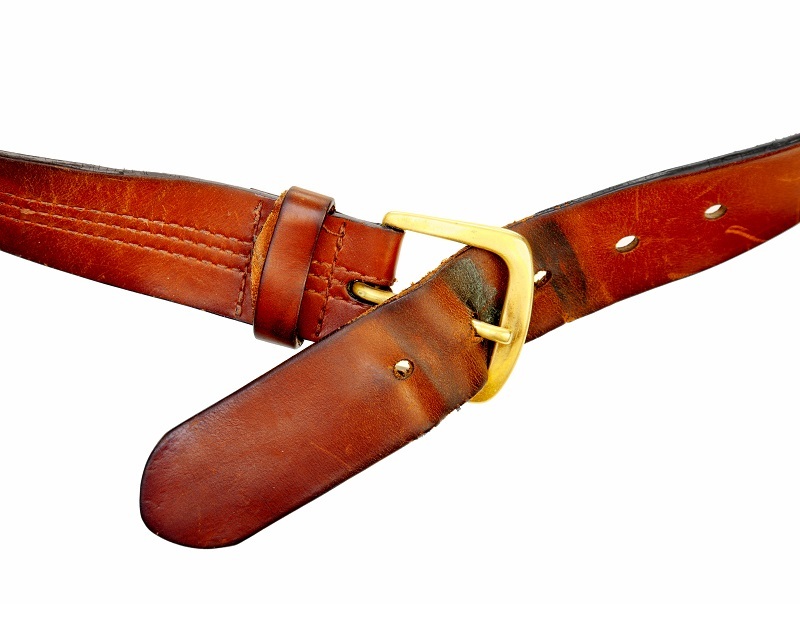 Gun belt leather, as it softens, first loses vertical rigidity. The wearer may notice the gun and holster will begin to "flop" somewhat. Eventually, the section of the belt where the gun and holster are normally held will begin to droop, which is called "gun sag." Gun sag is a sure sign that a gun belt is no longer up to the task it is supposed to be used for and has got to go. How long will this take? Depends on the quality of the leather; the higher quality the leather, the longer the belt will take to break in. However, an internal stiffener will keep a belt rigid for much longer if not - depending on the type of stiffener - in perpetuity. Just as a leather gun belt can wear out, sag and need replacing, so can a tactical or nylon gun belt. Usually, the cause is that the nylon does not have the requisite tensile strength for service as a gun belt. 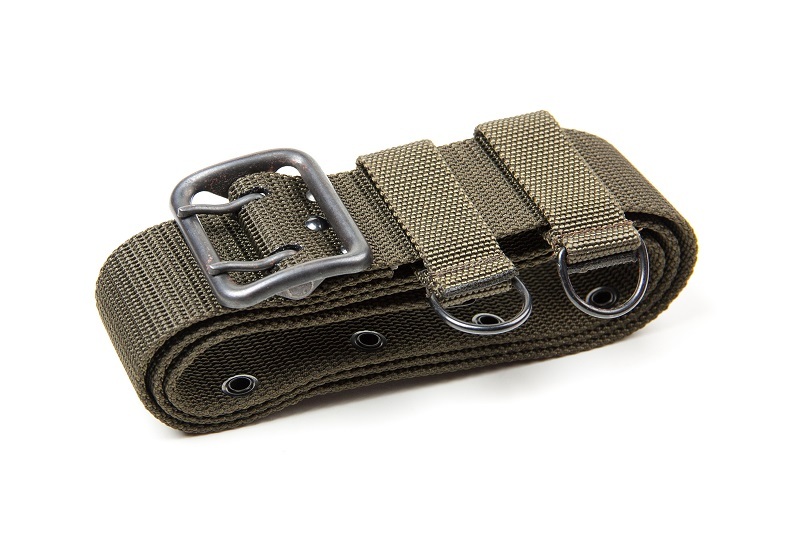 Some companies that sell tactical belts (or at least proclaimed tactical belts) made from nylon webbing will have cheap models that they will specifically say cannot hold the weight of a pistol and holster. Some budget web belts will not, even if it is the case. A nylon web belt that isn't up to the task of carrying your gun will make itself obvious, as it will sag, slip and otherwise will not sufficiently hold a gun. Gun sag will ruin the carry and you'll have to get another belt. The belts that are up to the task will be made of sufficiently strong materials to do so. When it comes to nylon web, high tensile strength is the desired quality. Some web belts, especially the rigger's belts that are sold by many tactical gear companies, will be more than adequate for the task. Often, these belts have a tensile strength of several tons. These belts will likely never lose much rigidity. Some feature a liner for greater comfort. That said, many are also 1.75 inches in width, which are at or beyond the maximum belt width for most trousers. Many web belts for carrying are made from scuba webbing. Scuba web belts are designed to hold upward of 50 pounds of lead weights. Granted, actual scuba belts are normally a bit wider than gun belts made of the same nylon webbing - typically scuba belts are closer to duty belt width - but are still a tough material. A pistol and holster should be fine. A web belt made of sufficiently strong material should last for years with no issue. How to get more life out of a gun belt? The easiest way is to buy one that's built to last to begin with. Granted, it's just a belt - it's not like how one invests in a home or a car; most gun belts run $100 or less. It isn't always true, either, that one gets what one pays for; plenty of gun belts can be had at reasonable prices that are the equal or better of belts that are much more expensive. Generally, the better a belt is built will determine the service life. Dual layers of good leather are better than single. Stronger stitches will hold longer than weak ones. Reinforced belts will last longer than non-reinforced belts. Just don't hold keep a belt once it is obviously starting to wear out.